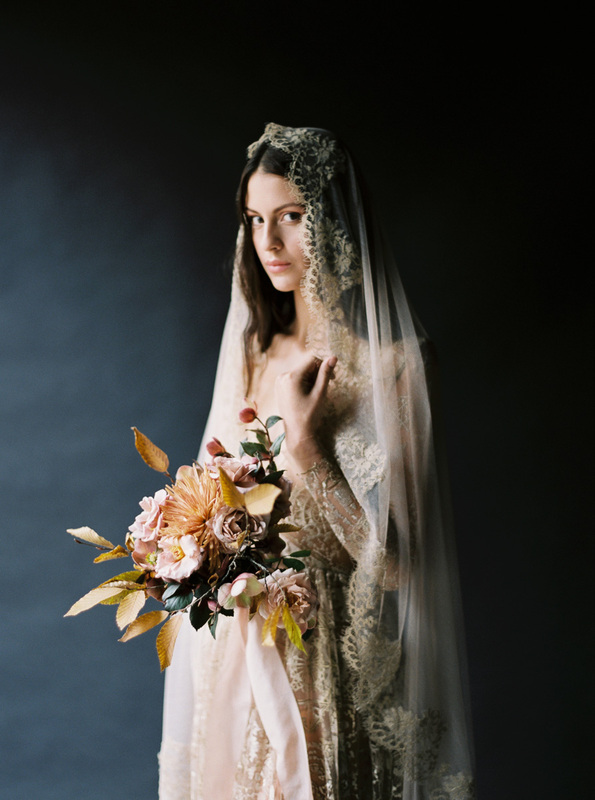 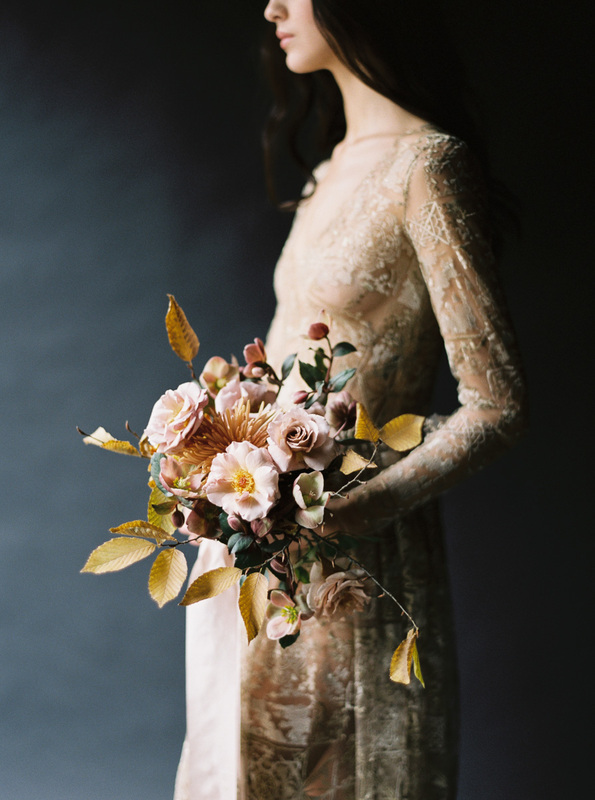 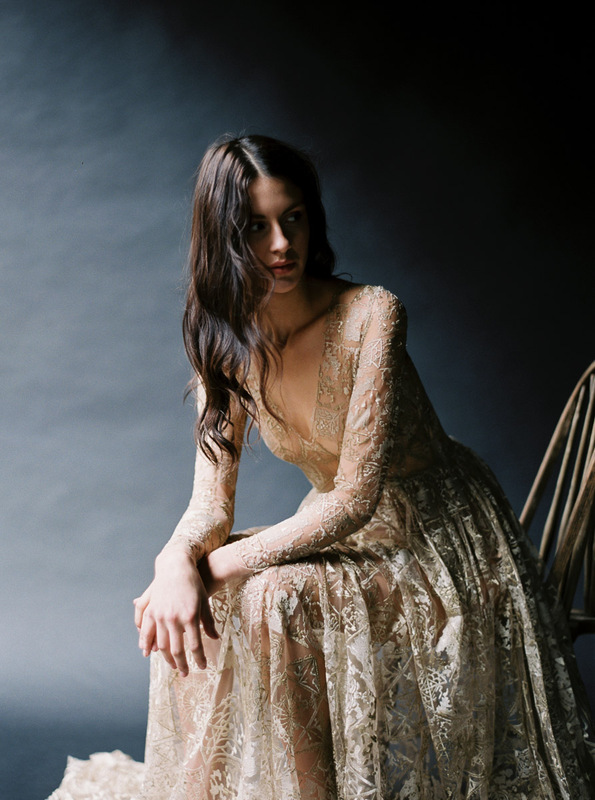 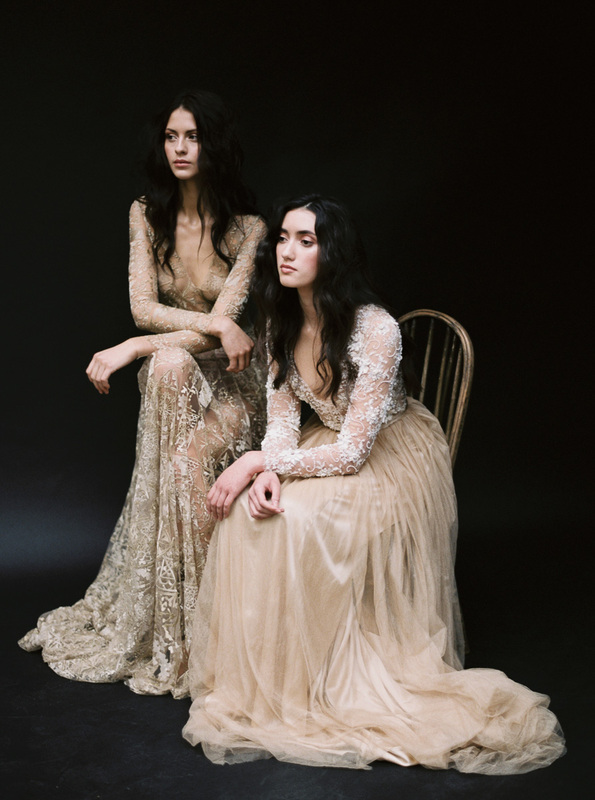 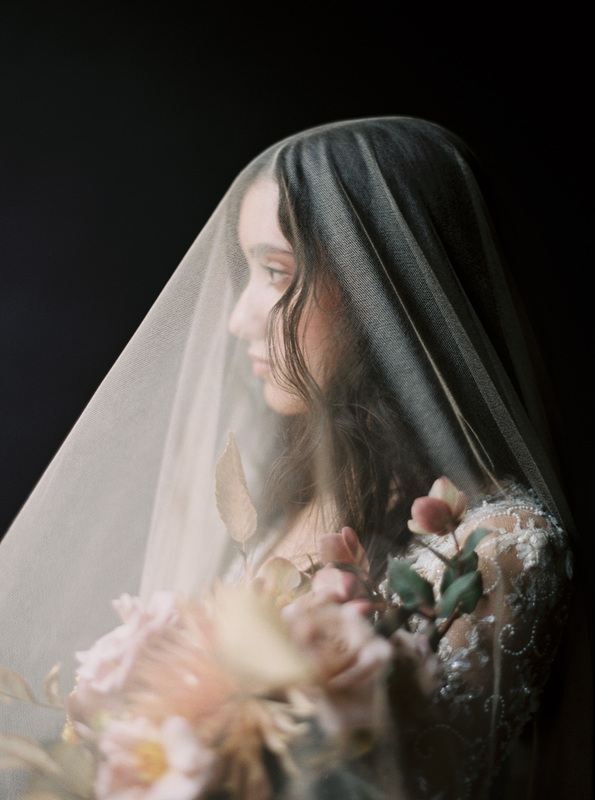 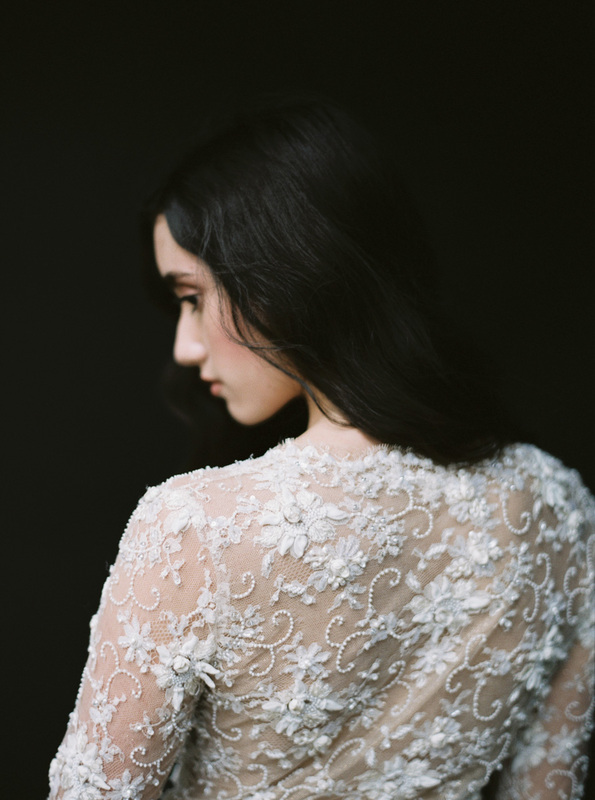 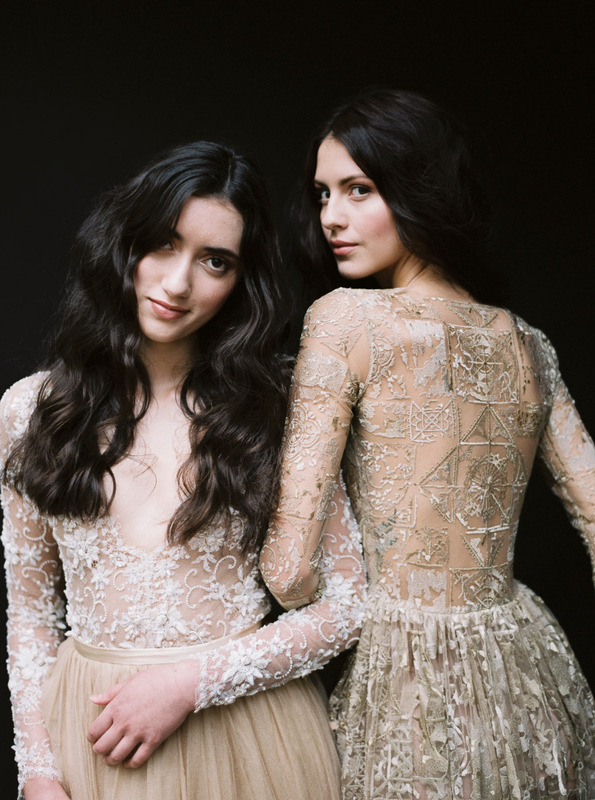 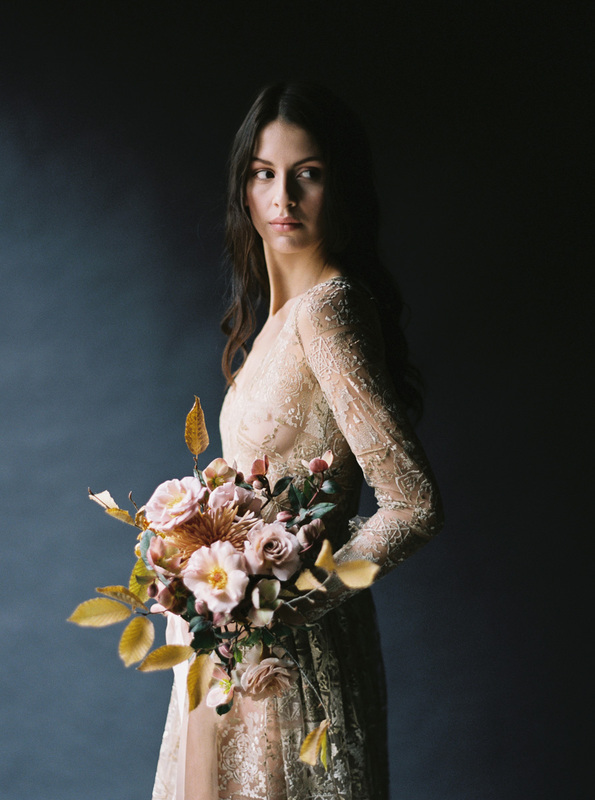 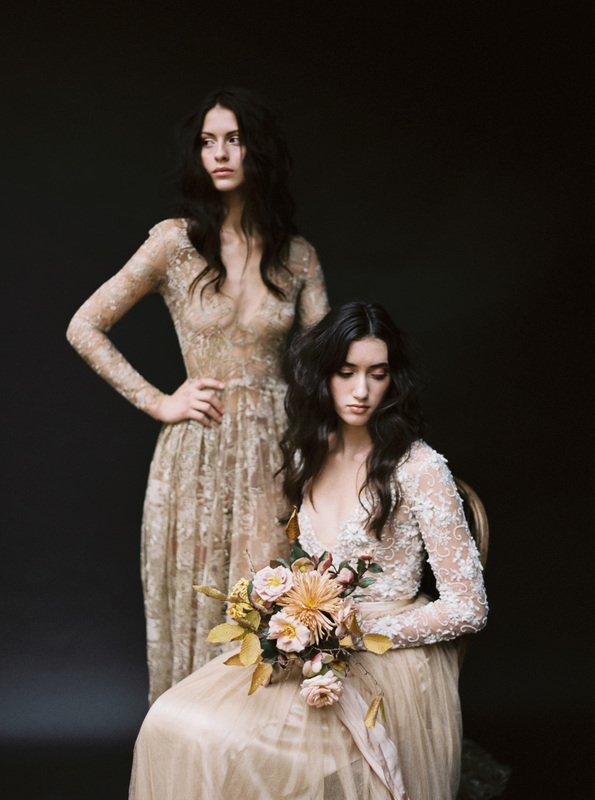 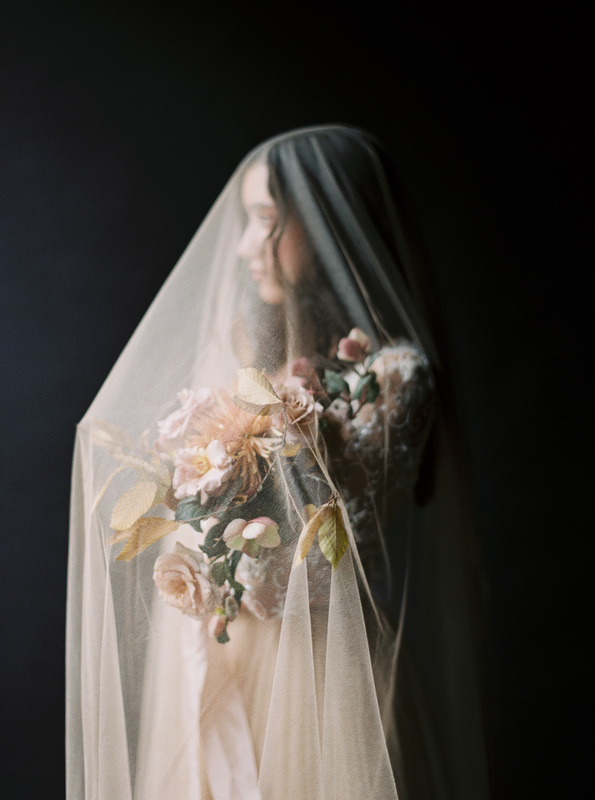 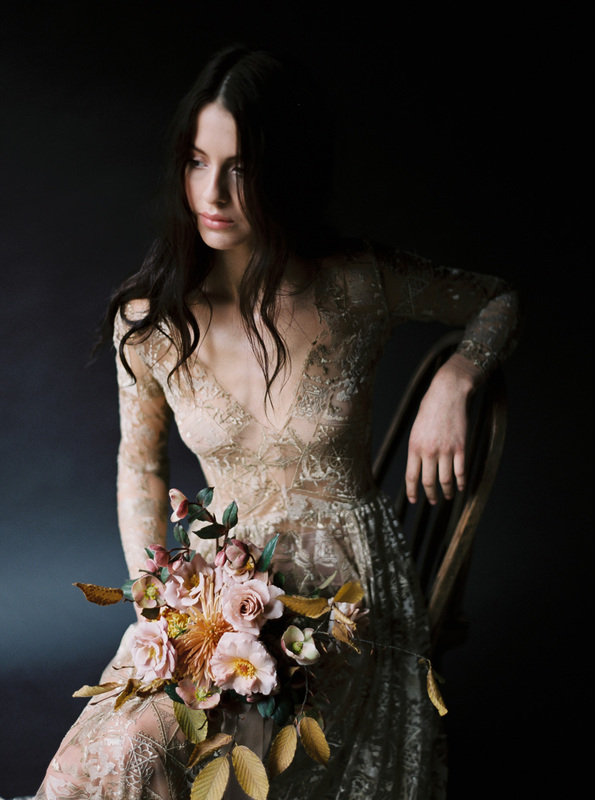 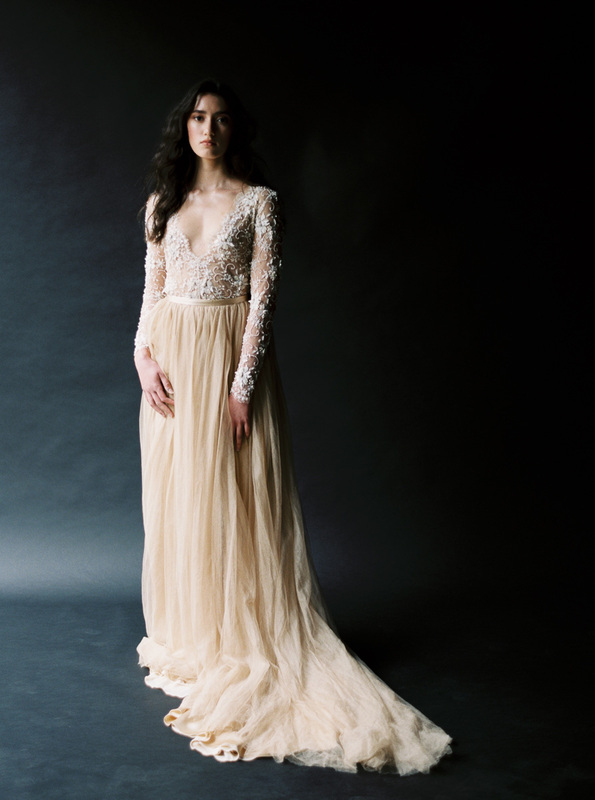 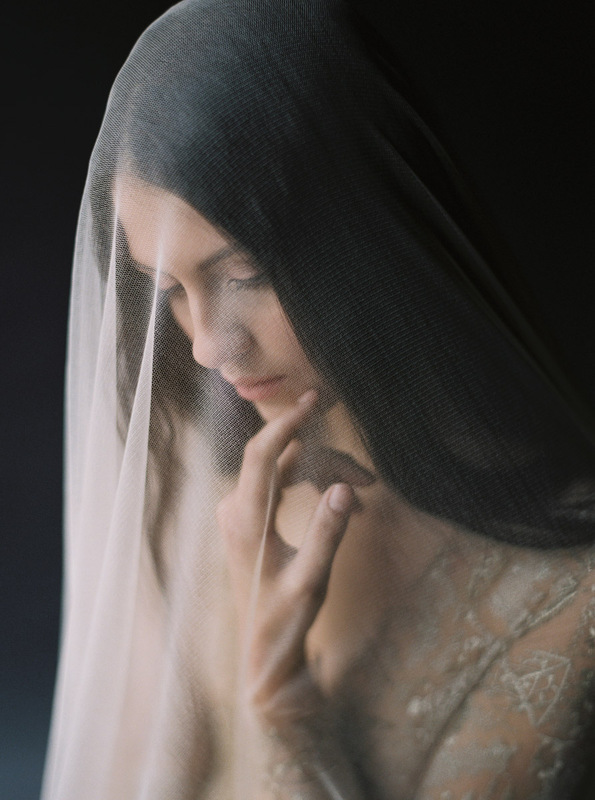 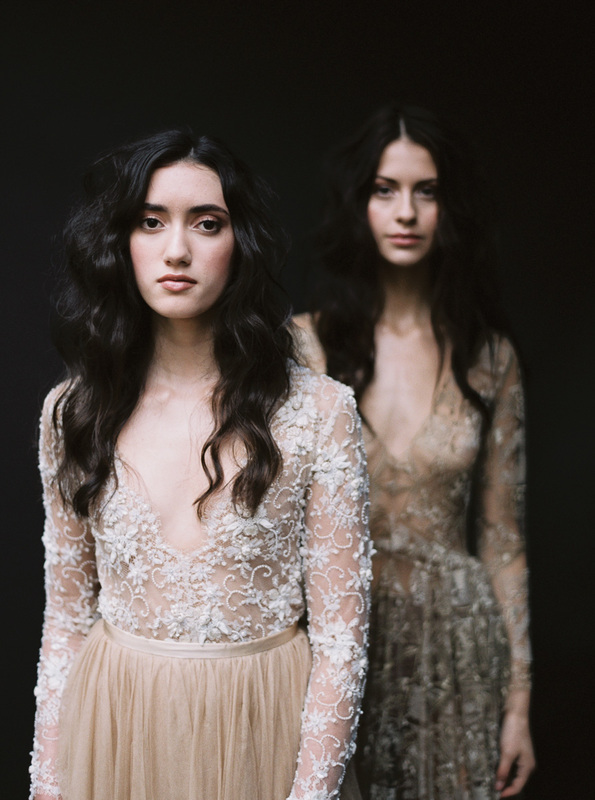 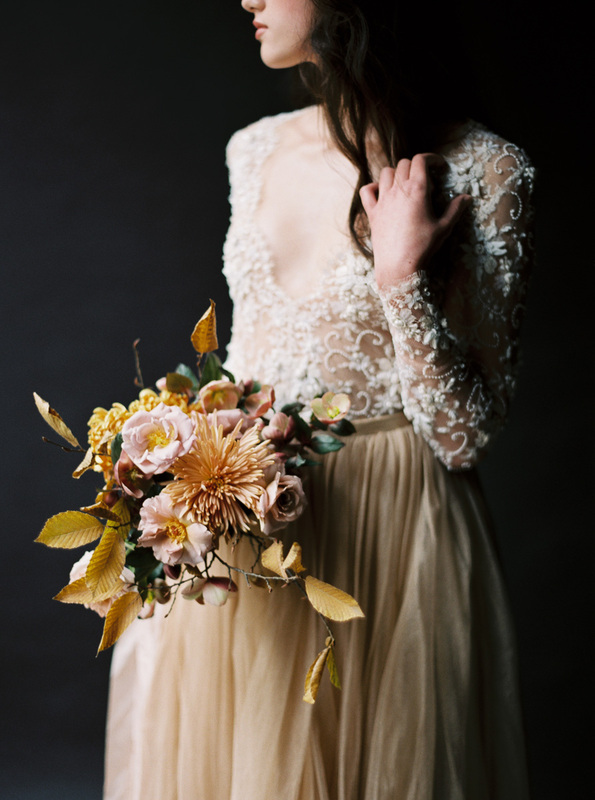 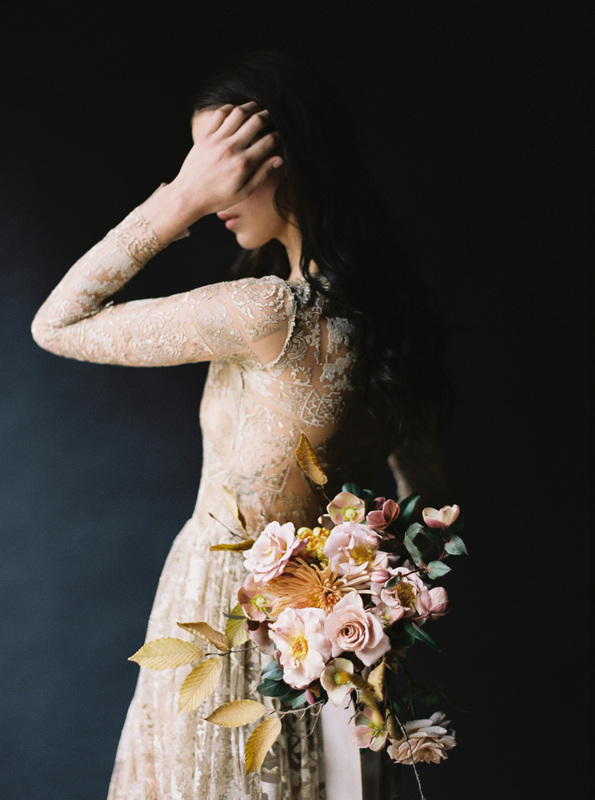 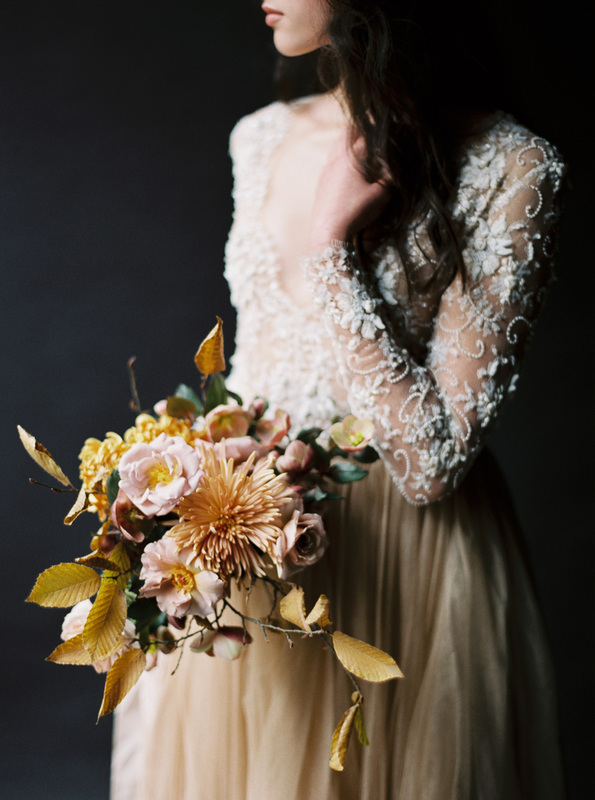 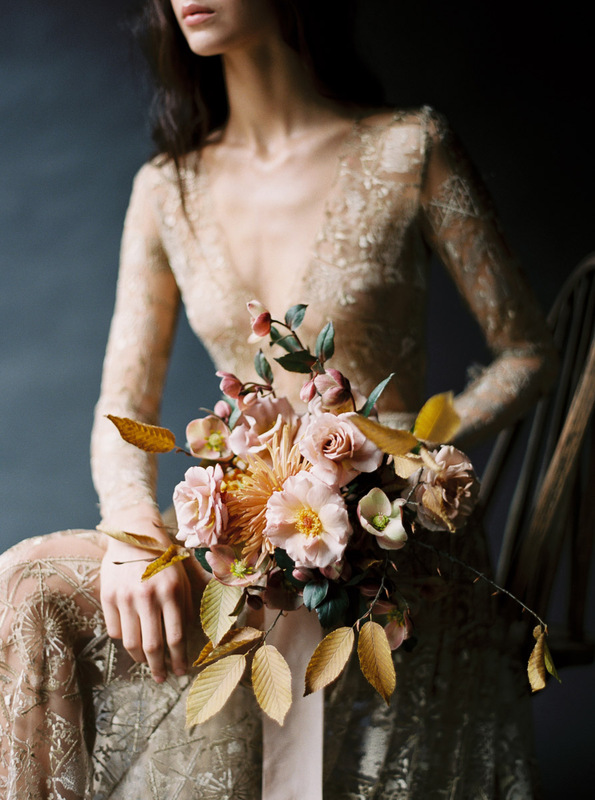 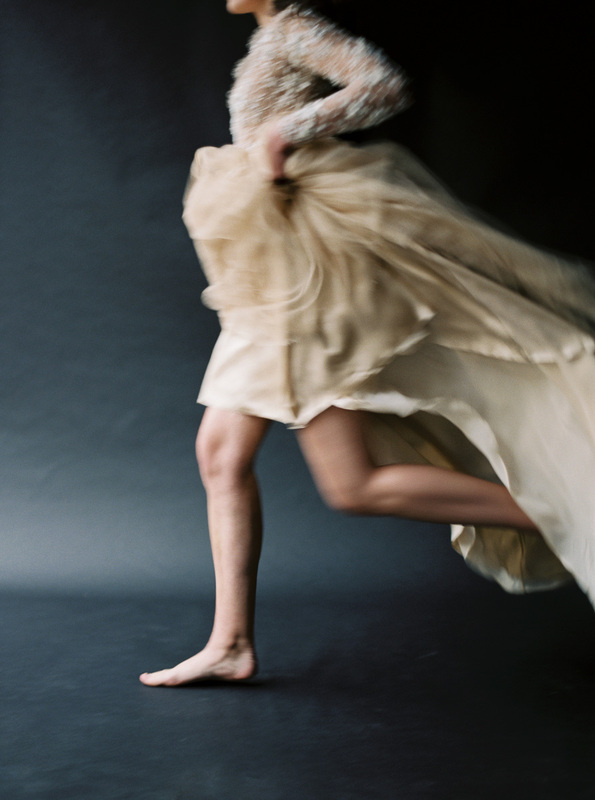 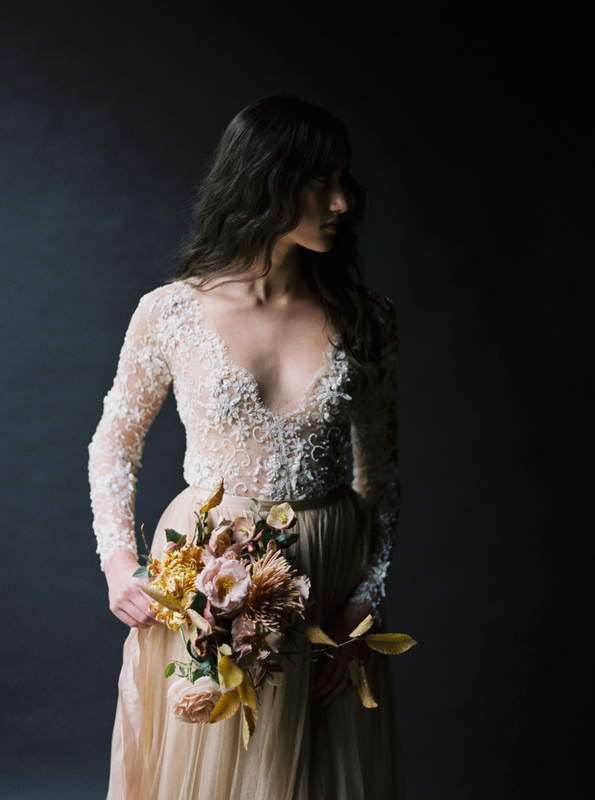 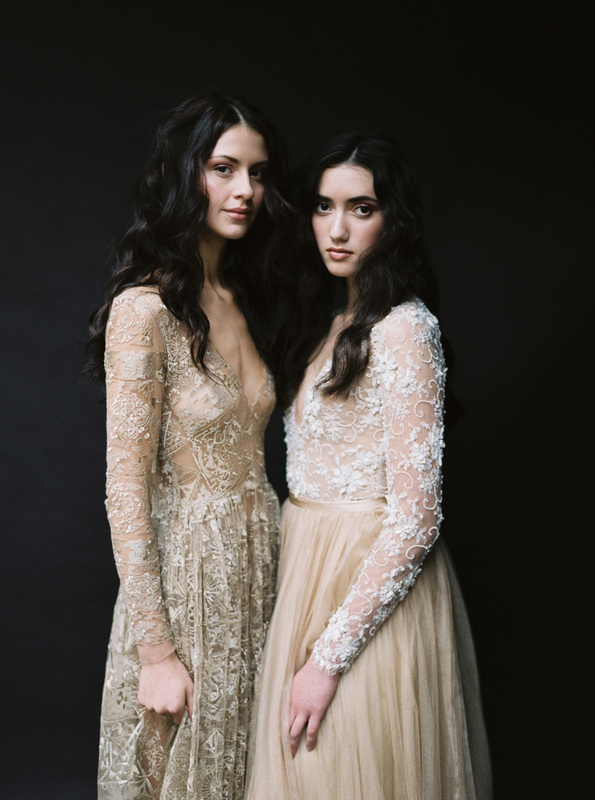 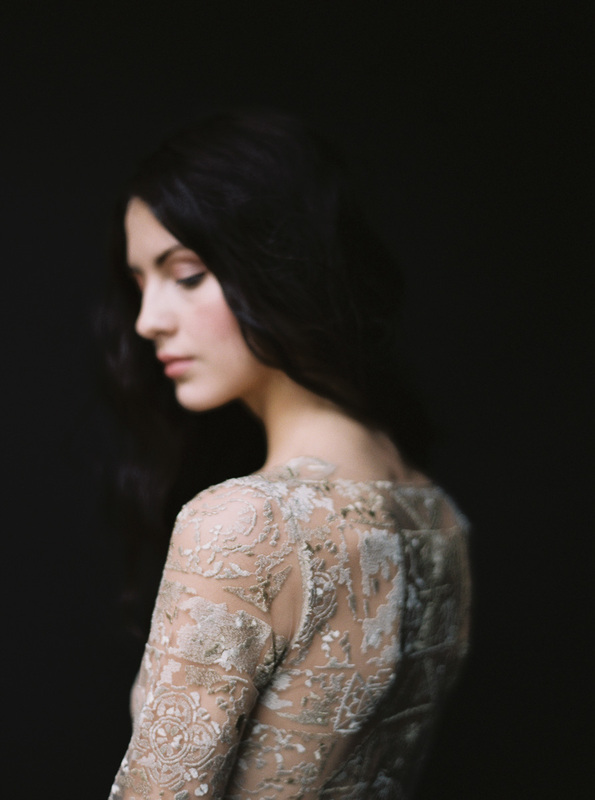 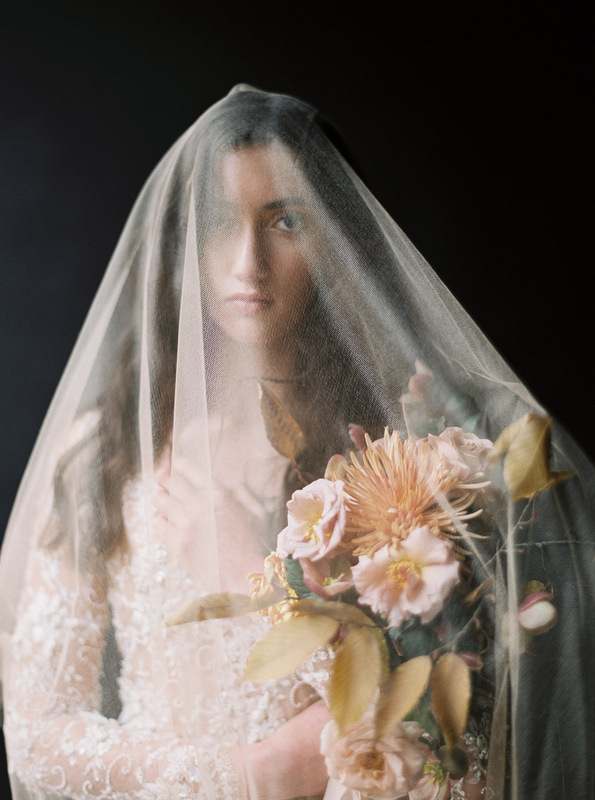 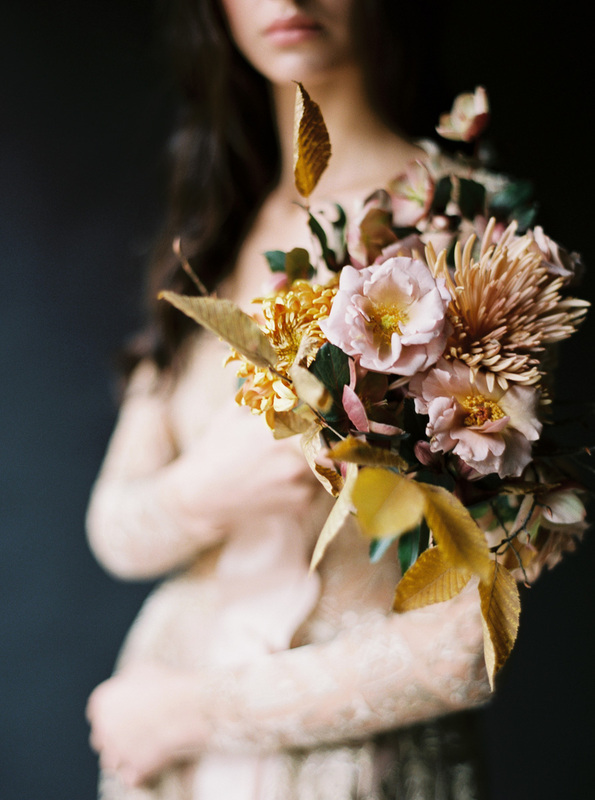 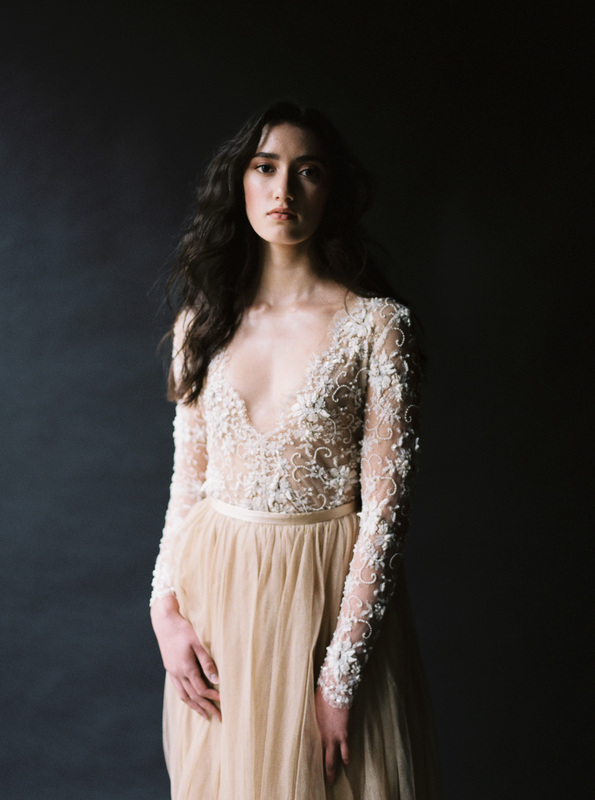 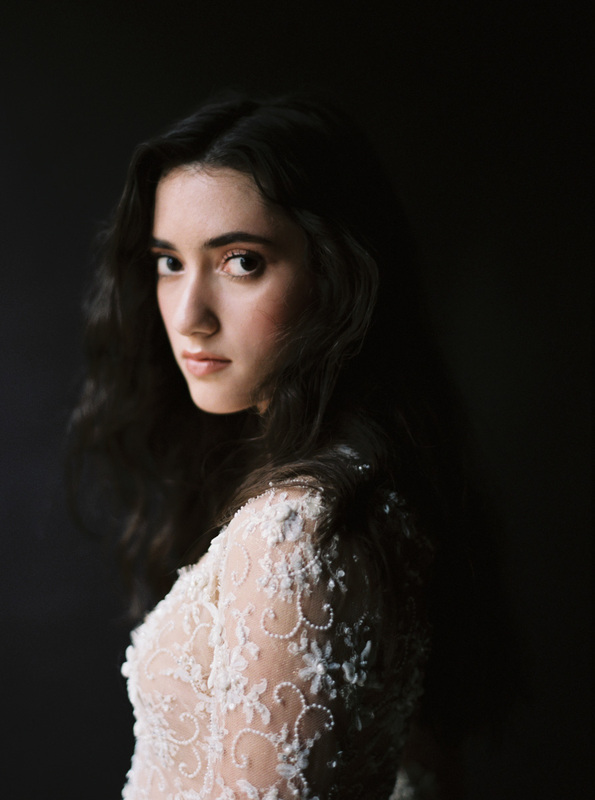 The inspiration behind this shoot was to capture old-world femininity. 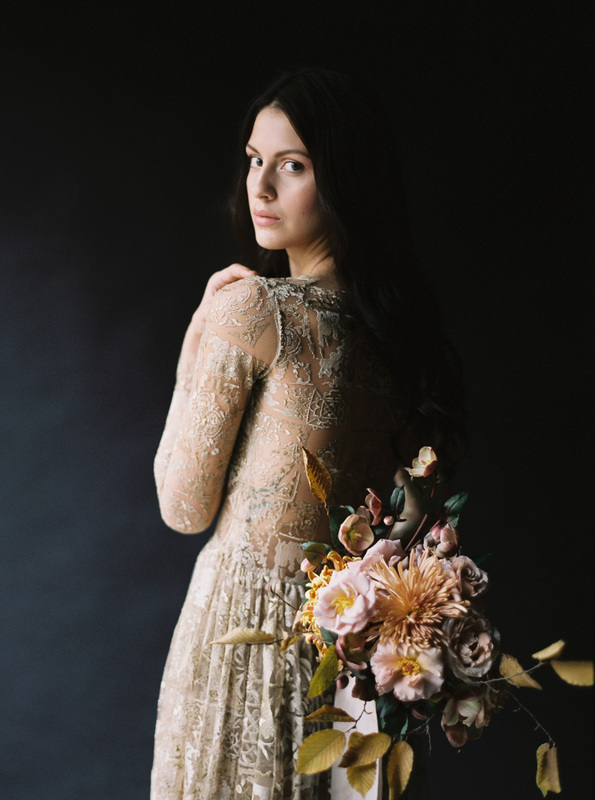 Emily wanted to keep the setting dark and moody to create high contrast showing off the delicate details in the flowers and gowns. 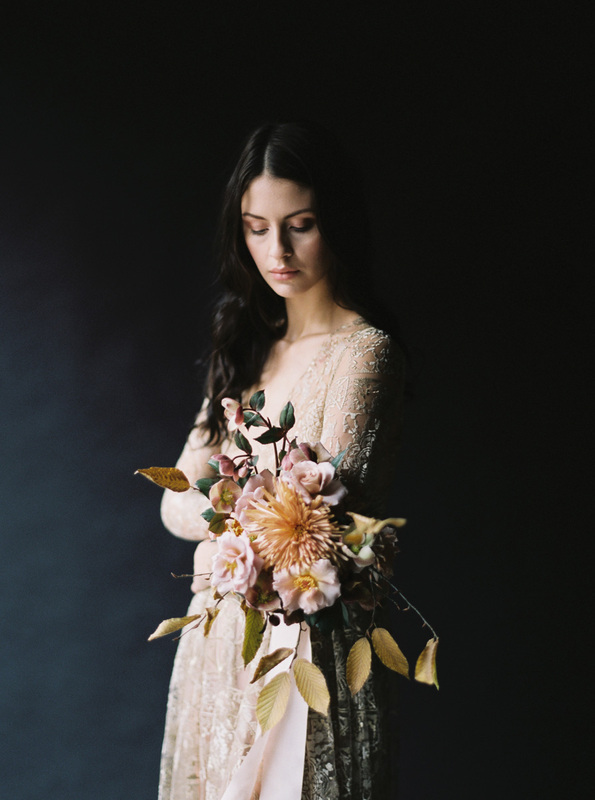 We kept the look clean, minimal and refined by using only a vintage Windsor chair and a bouquet adorned with bespoke ribbon. 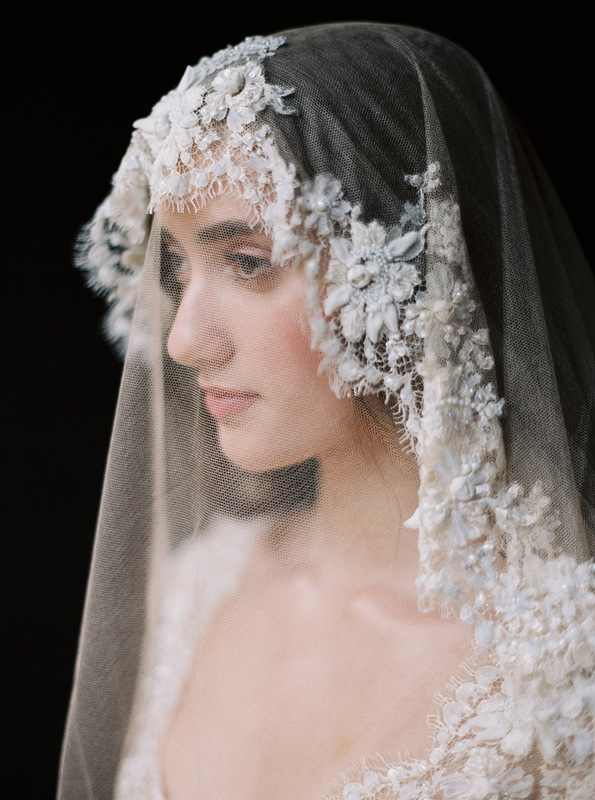 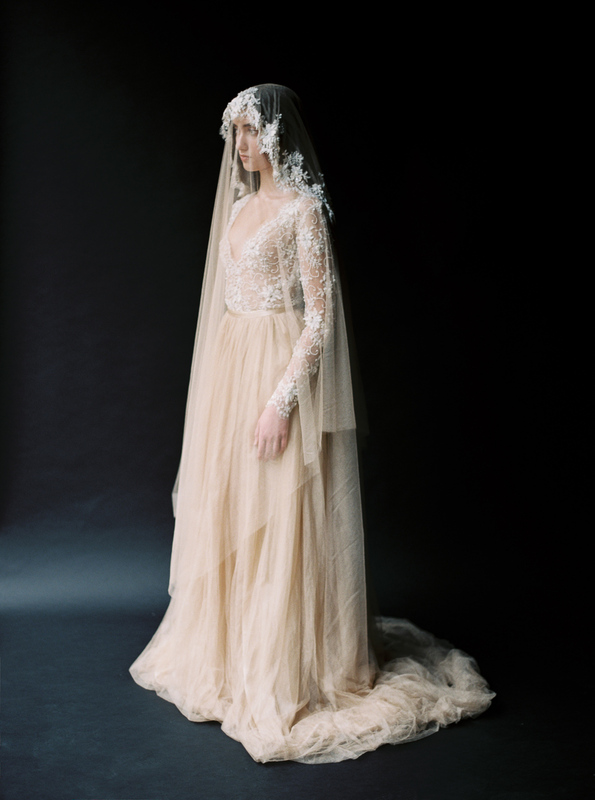 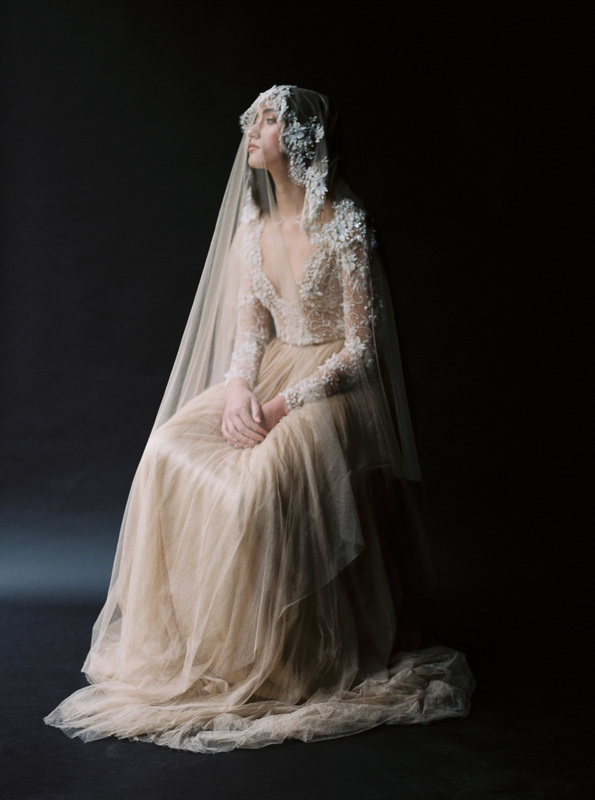 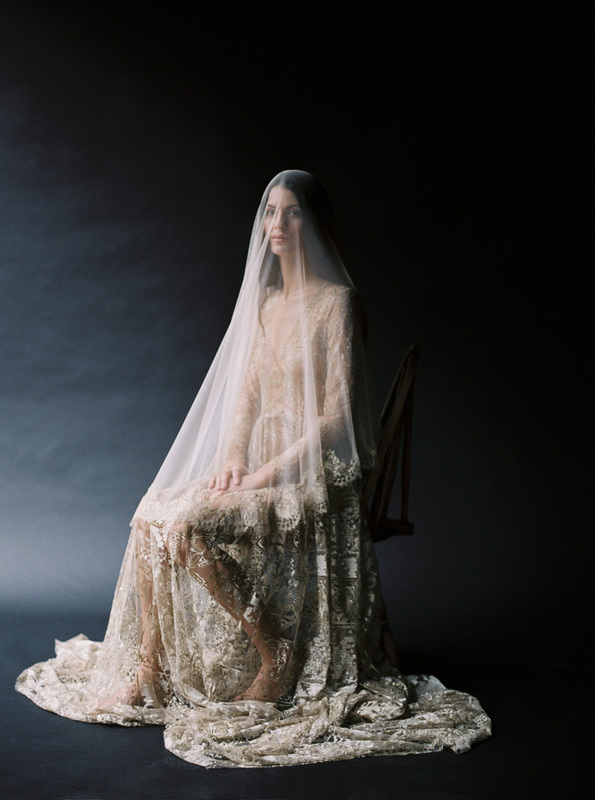 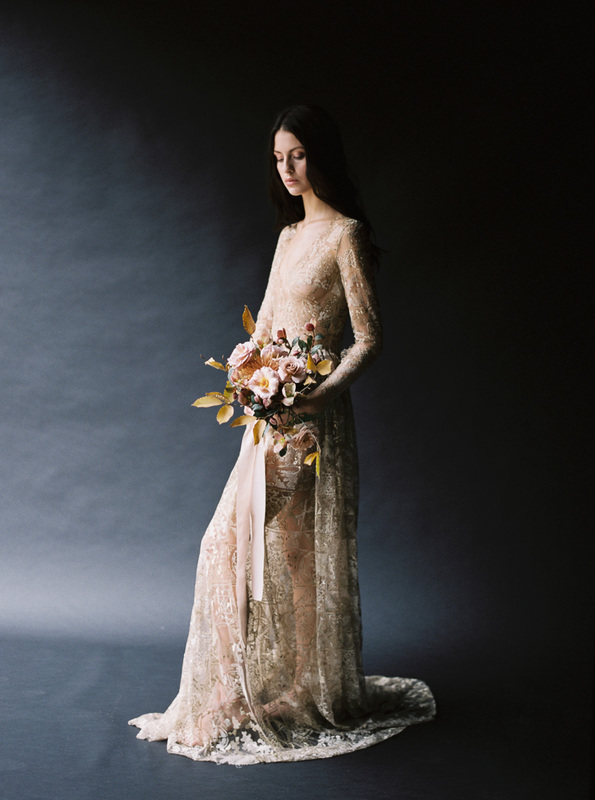 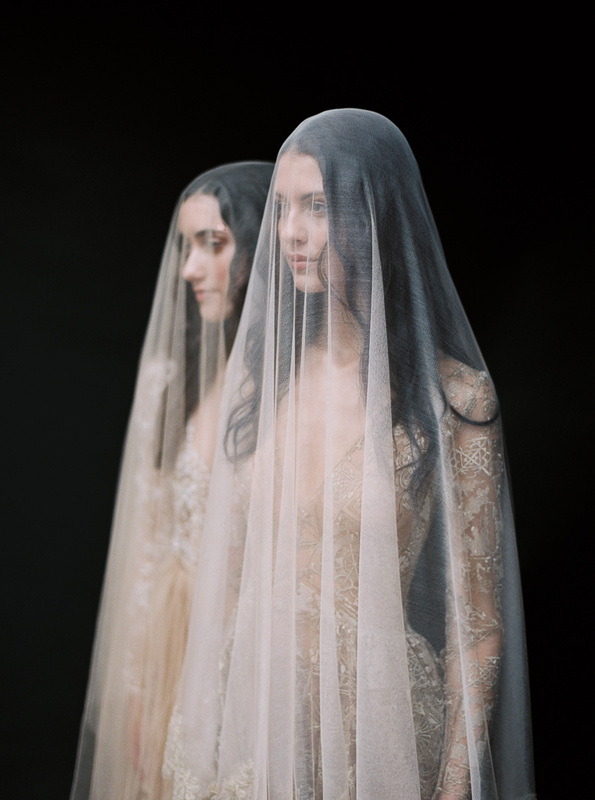 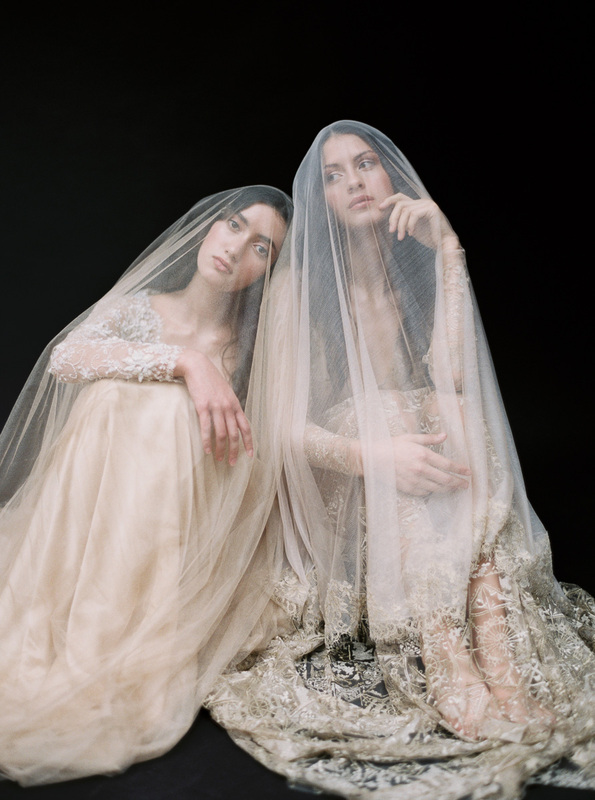 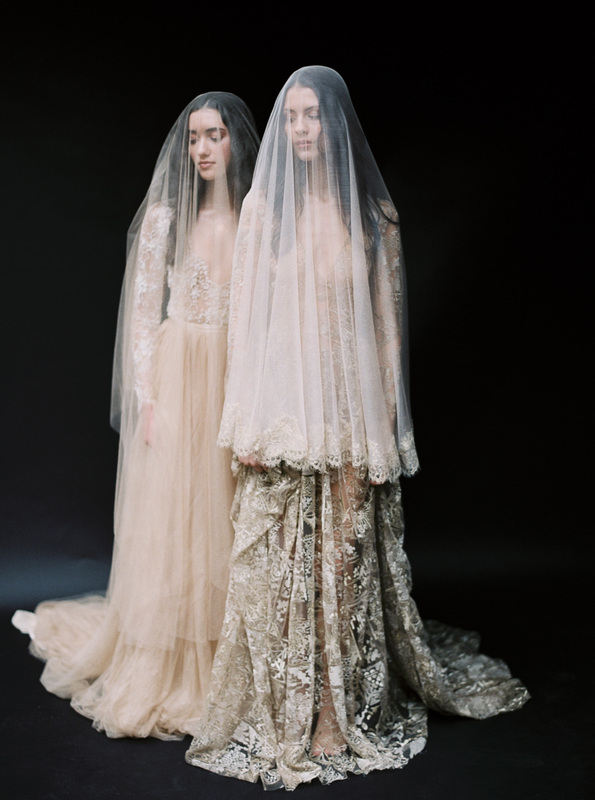 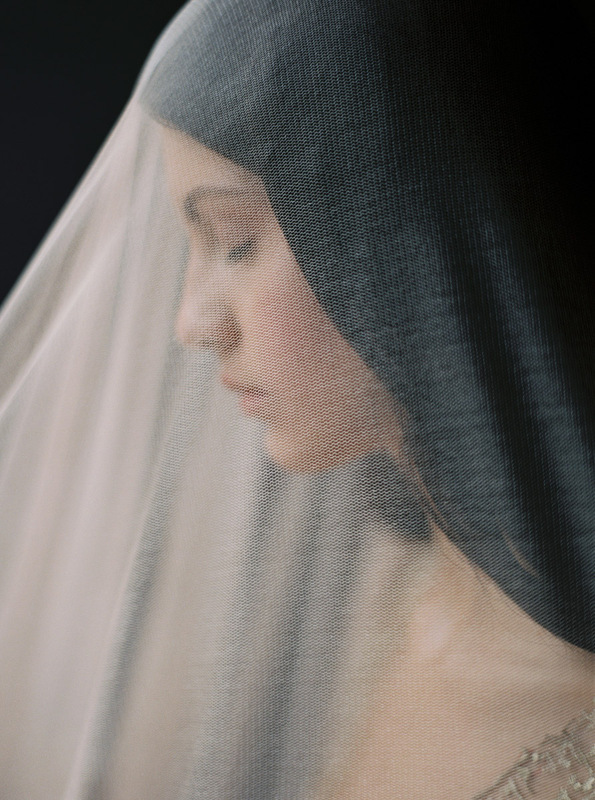 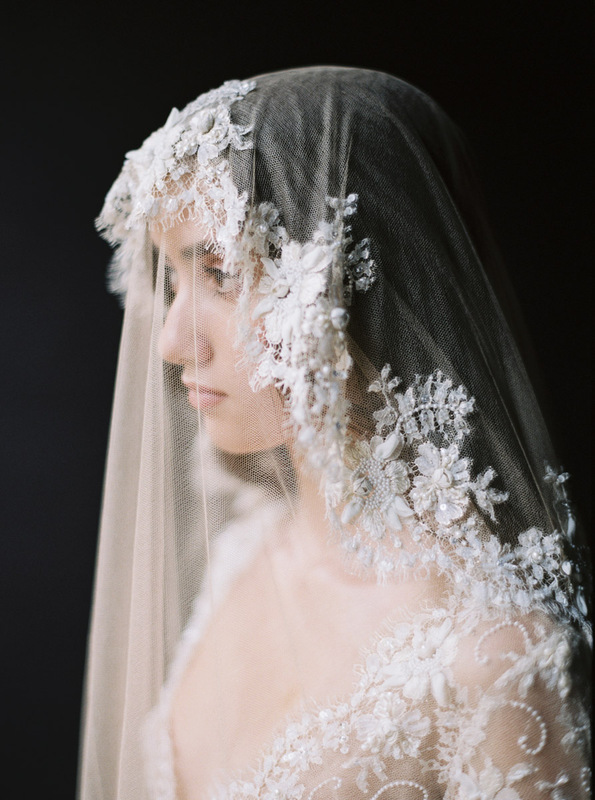 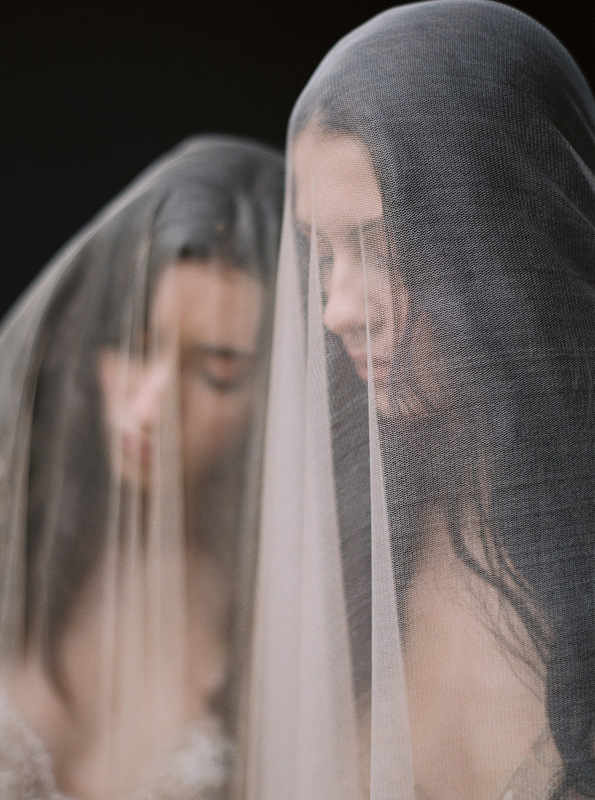 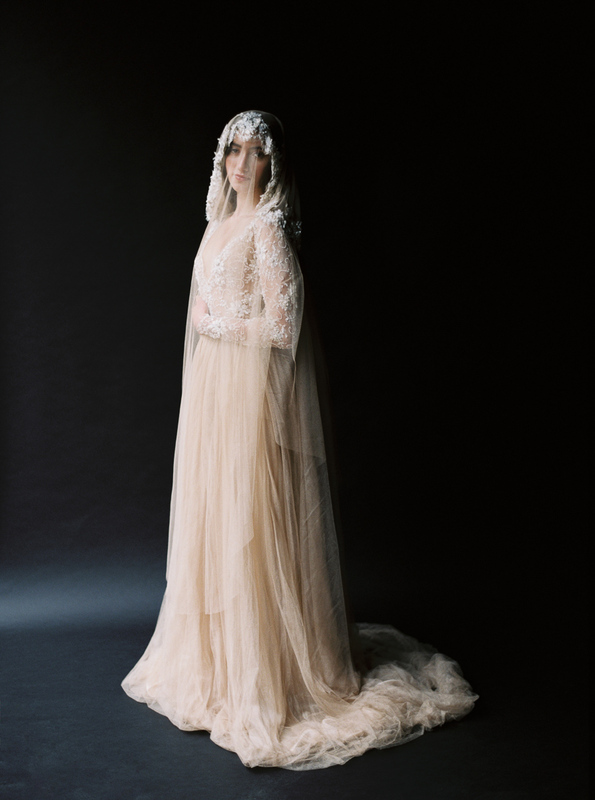 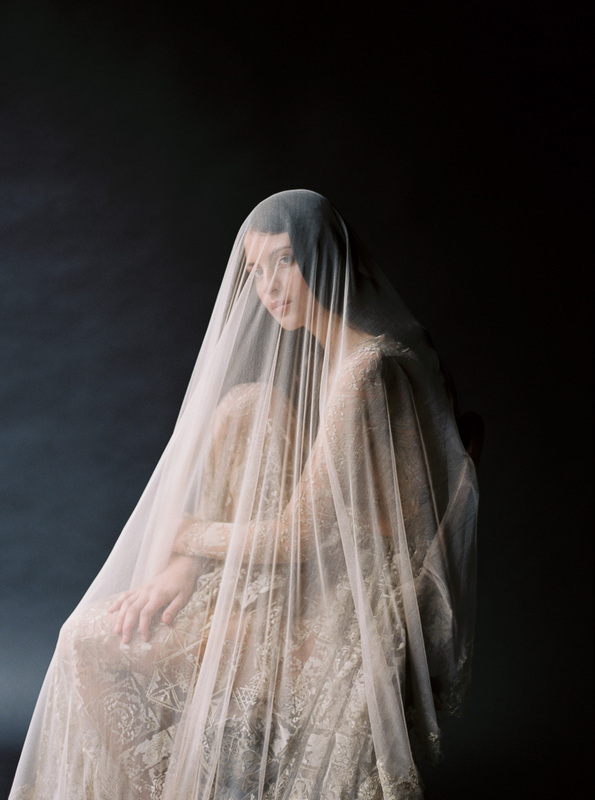 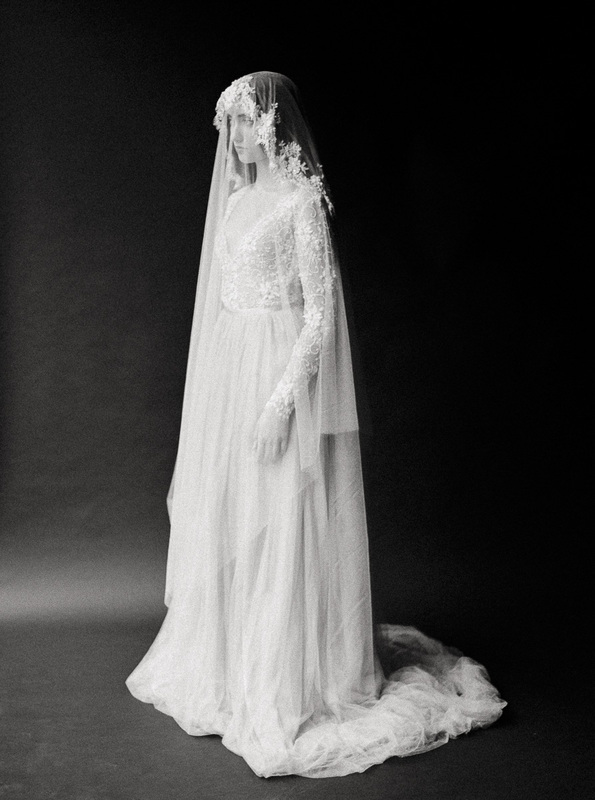 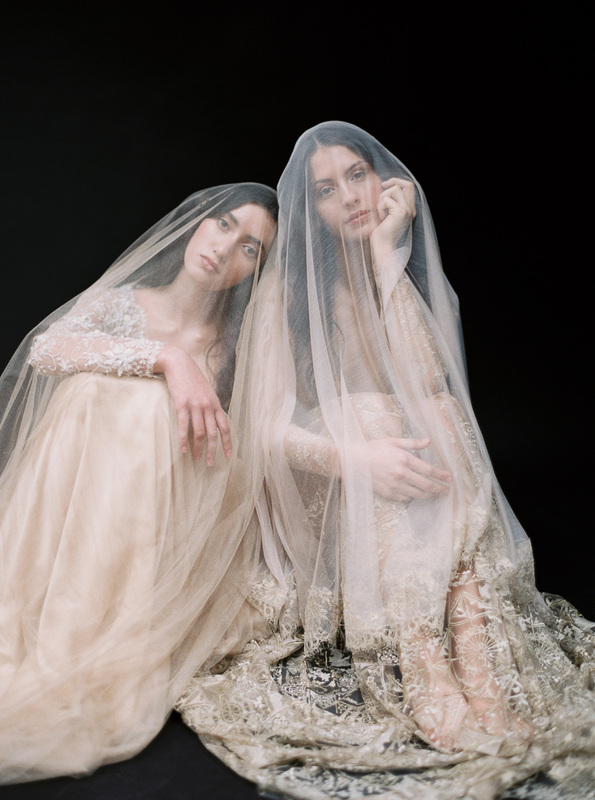 Toward the end of the shoot, we added in ethereal silk veils to take the elegance of the shoot to the next level. 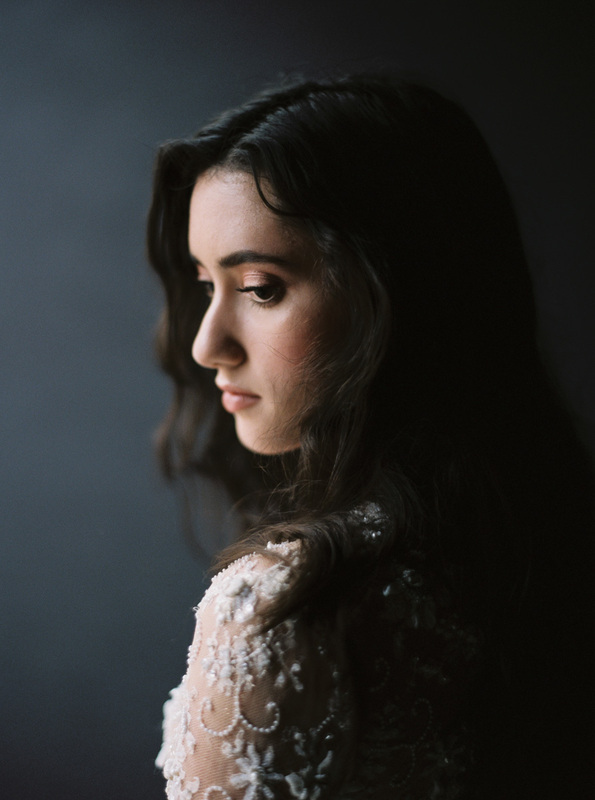 As film photographers, I think we all are a little scared of those less than optimal light circumstances. 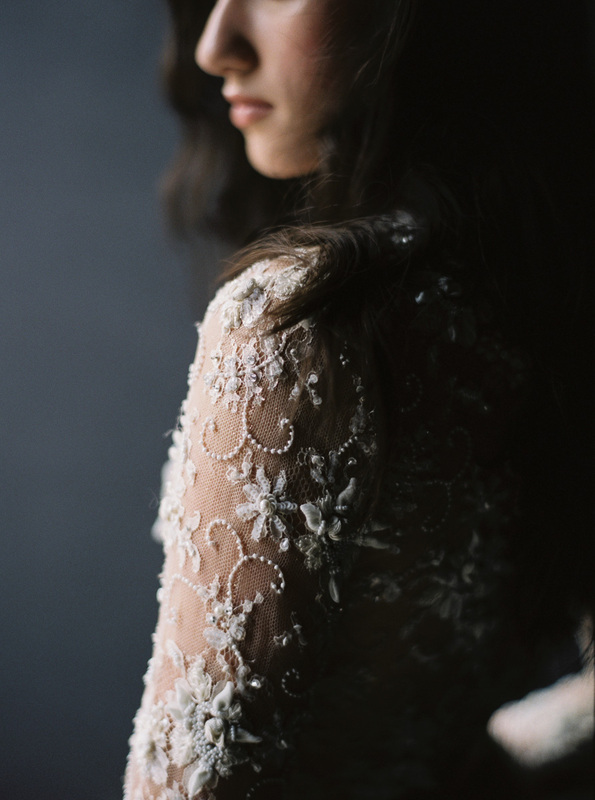 However, for this specific project, we made sure that the lighting was minimal. 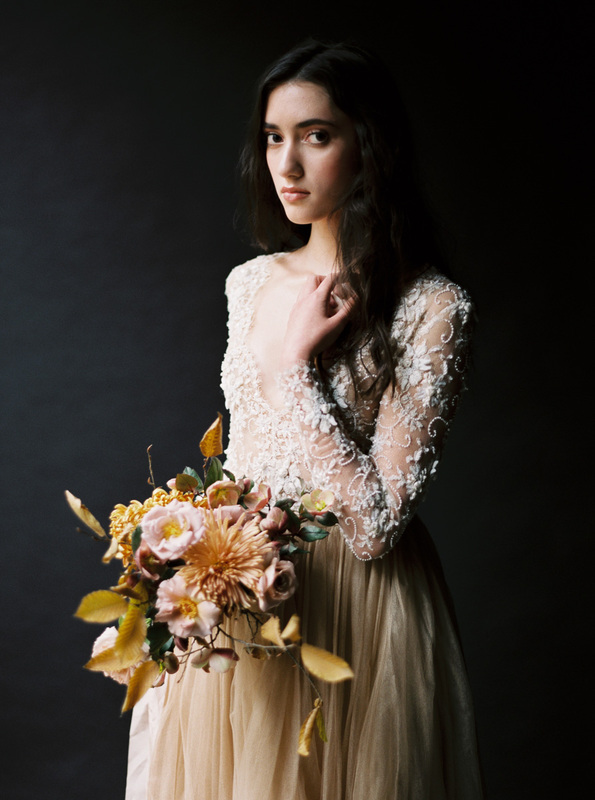 We used a dark background and lit the scene with the grey and gloomy Pacific Northwest light coming in from a window. 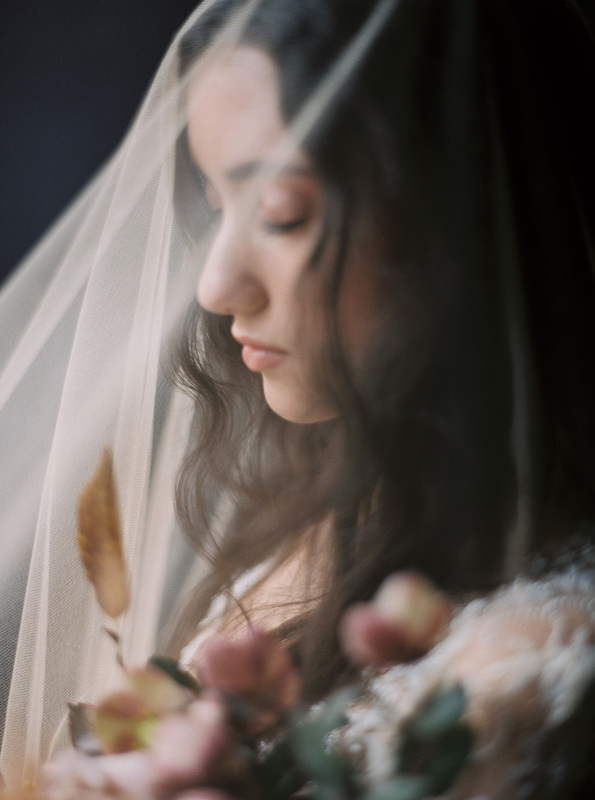 I love bright and airy just as much as everyone else, but there’s nothing better than letting the natural scene dictate how the frame looks. 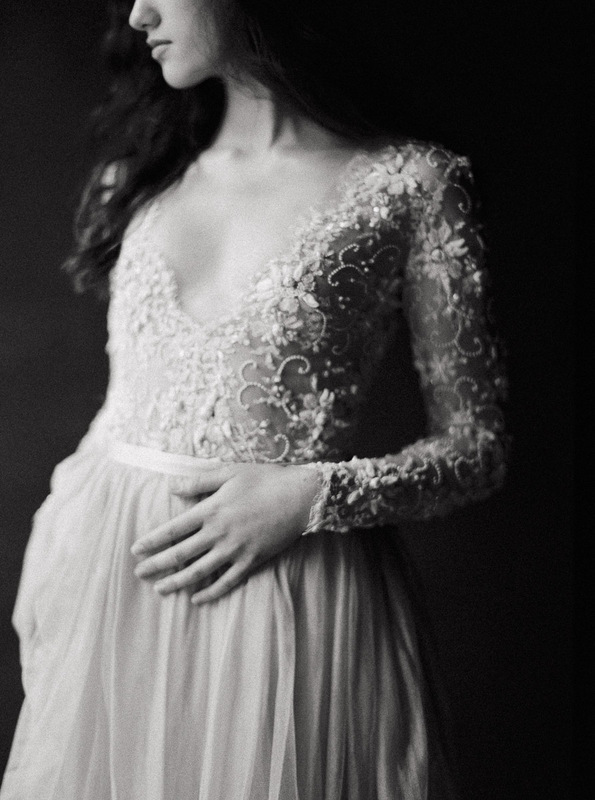 This allows us to capture the moment as organically as possible. 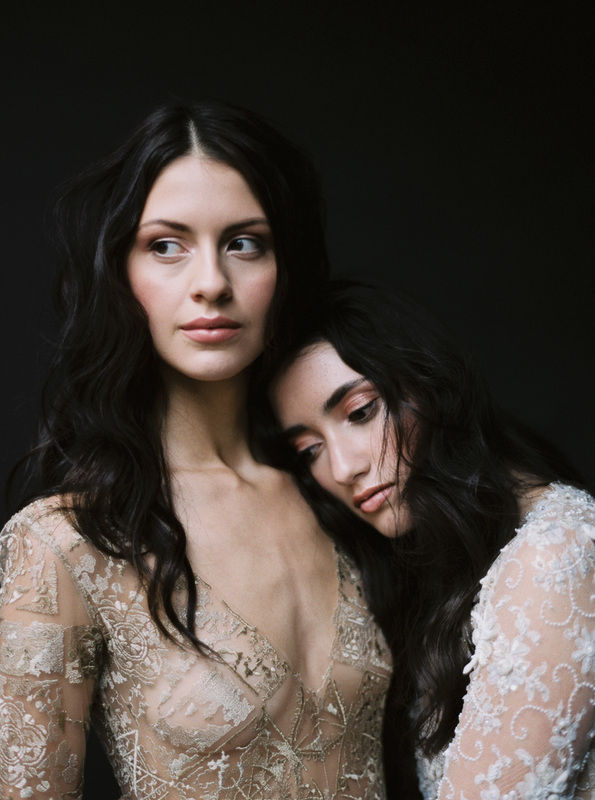 We are so happy to share those results with you all.